We call these stitch markers Nice & Knit Life Savers because they save you so much time and aggravation. These handy stitch markers will help you keep track of your round, the repeat in your pattern, and the number of stitches on your needles. The seamless silver finish glides smoothly across your needles so you don't need to worry about them snagging on your yarn. Sold in a tin of 50 and featuring 2 different sizes - Small & Large (25 of each size). 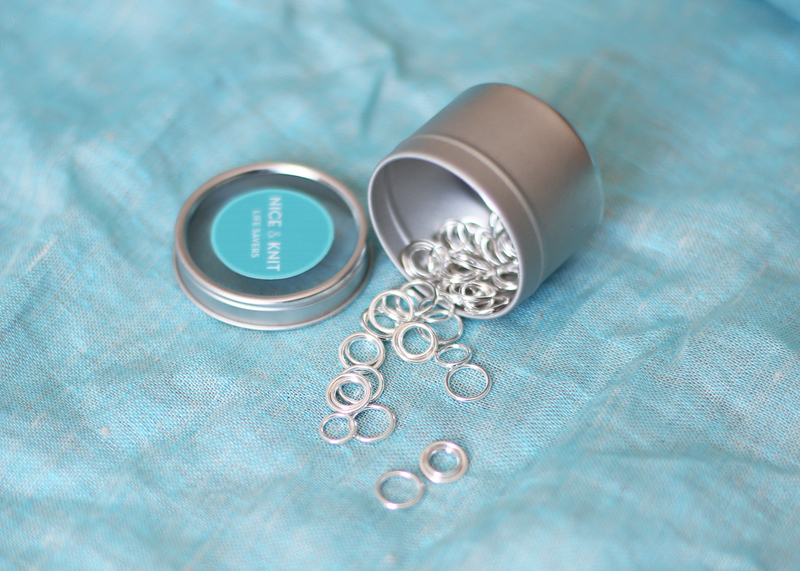 that’s a great deal for 50 stitch markers when you think about it. I love how chic and simple they are!